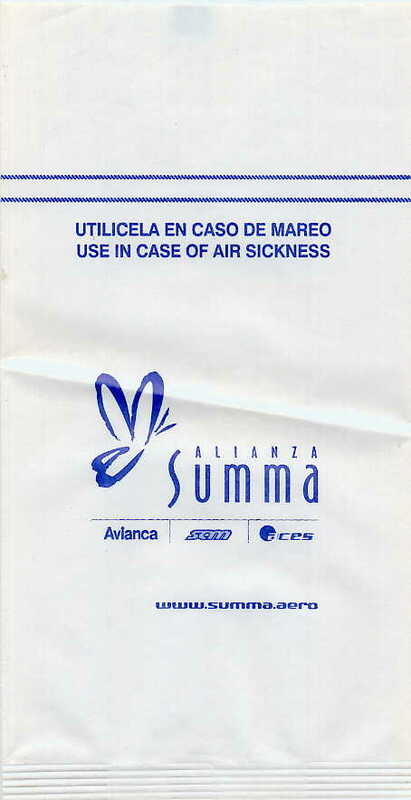 Avianca, Sam, and Aces team up to form Alianza Summa which they felt was best represented by a lame-o butterfly. This bag begs the question, "Do you spell it enrollando or enrolando?" 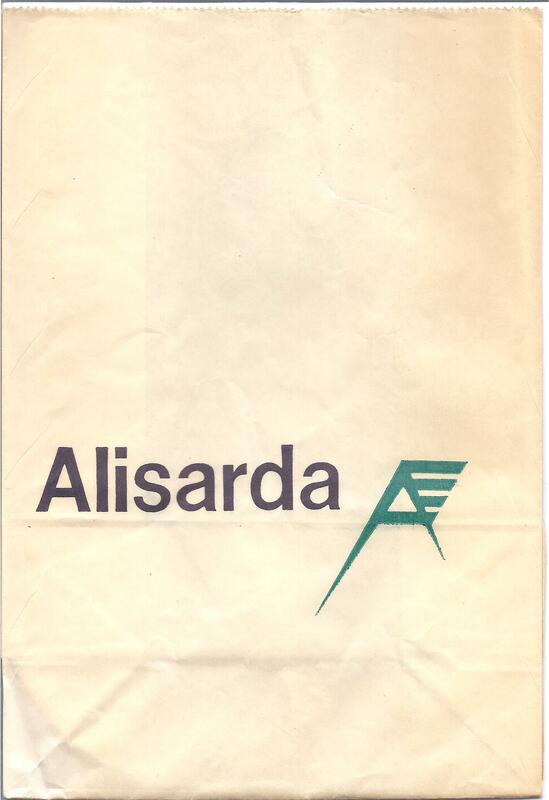 Old, large Alisarda Bag probably from the 1970s. I have no idea why they decided to print a wing-nut on the bag as if the logo was a fixture they were attaching to it. 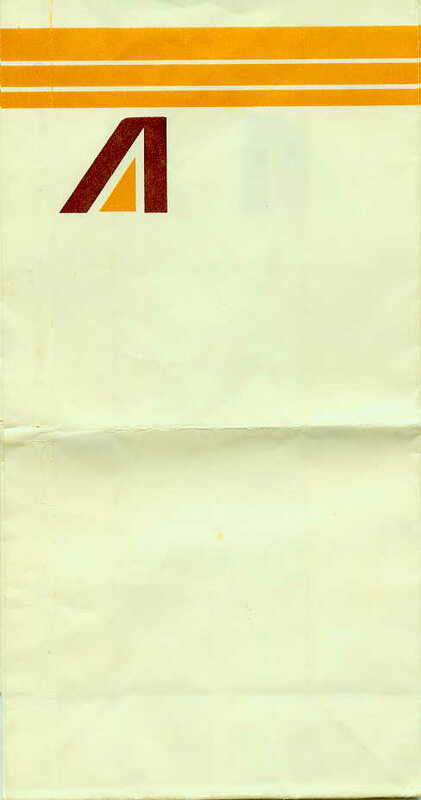 Big Abstract A is a harbinger of the 3 Big A's strategy Alitalia would one day espouse. 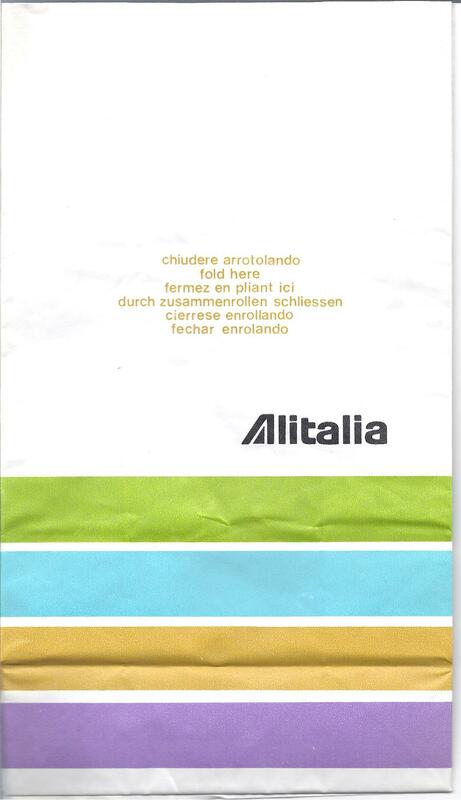 This bag is the missing link between the 'old' Alitalia and the 1991 version. 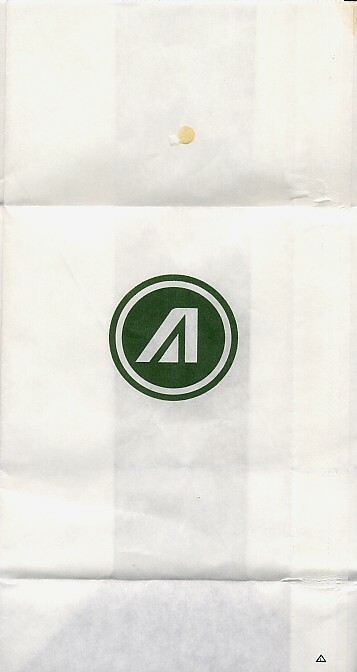 The amalgamation includes the face from the back of the 1991 bag and the bottom from the old bag. A bag Darwin would appreciate. 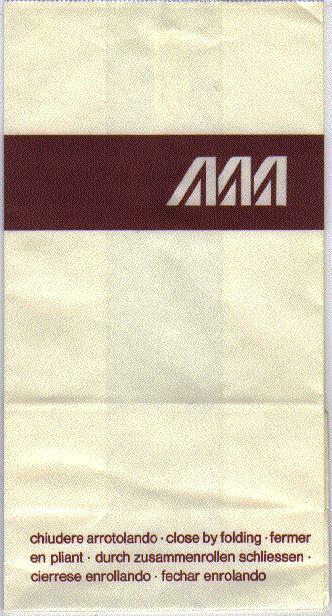 Inspection of the inseam reveals the bag behind the bag. First, one would notice that the manufacturer is Burgopack Spa, which sounds like a 50's burger joint. 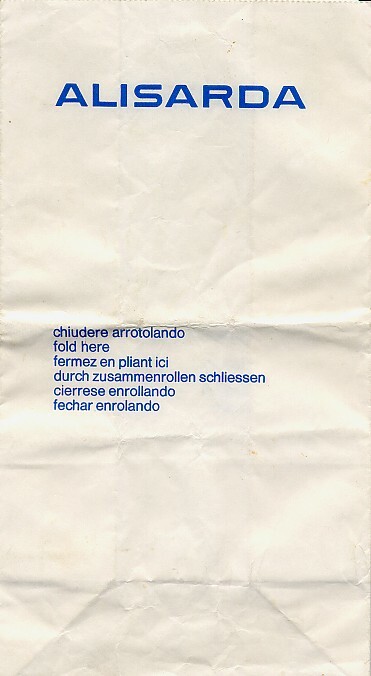 However one inseam also says "hermetic bag" whereas the other inseam says "sacchetto hermetico". 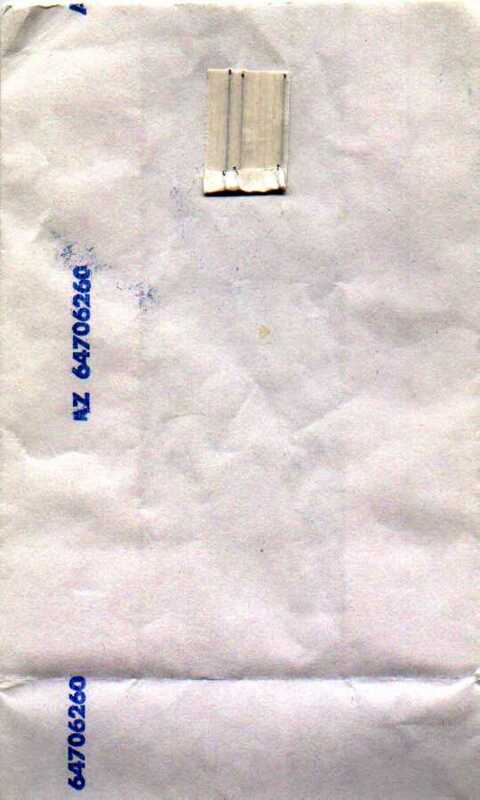 Inspection of the inseam reveals the bag behind the bag. 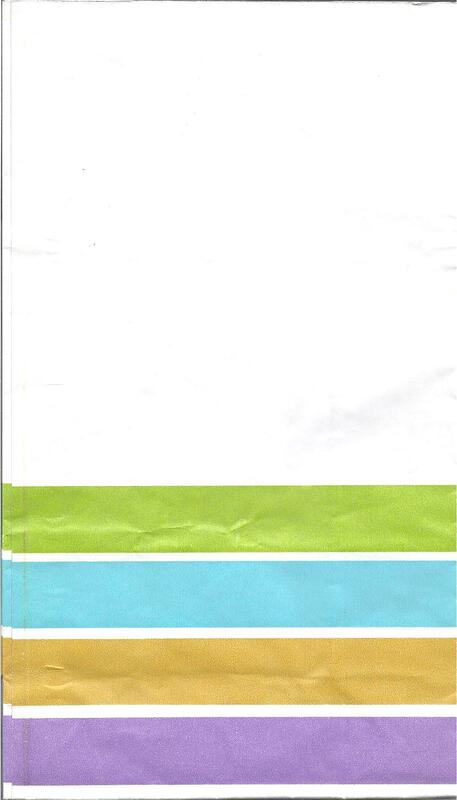 First, one would notice that the manufacturer is Burgopack Spa, which sounds like a 50's burger joint. 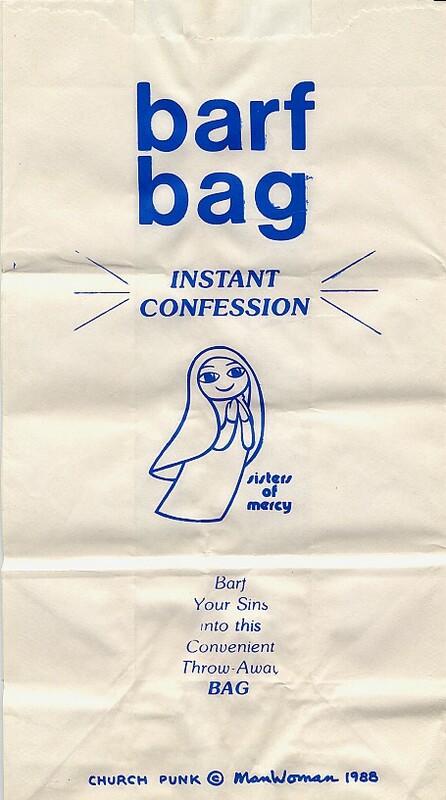 However both inseams say "hermetic bag". 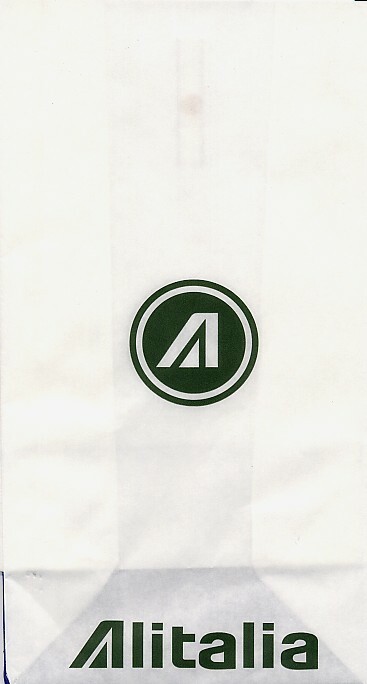 Do bag designers really think they're creative when they make their their A's look like airplane tail fins? 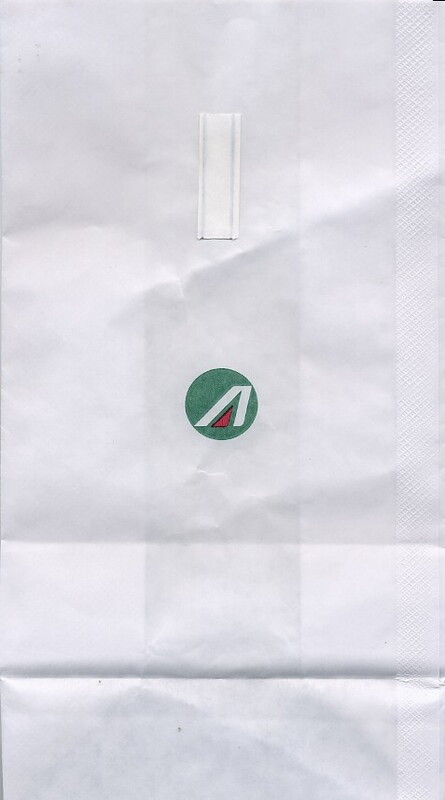 Finally, Alitalia displays some pride by putting their name on the bag. 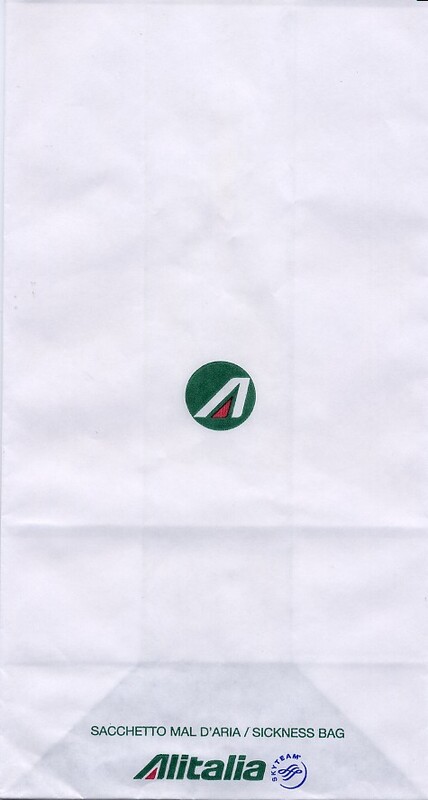 In a stunningly bold maneuver, Alitalia adds a small triangle to the back side of their bag. Probably a union thing. 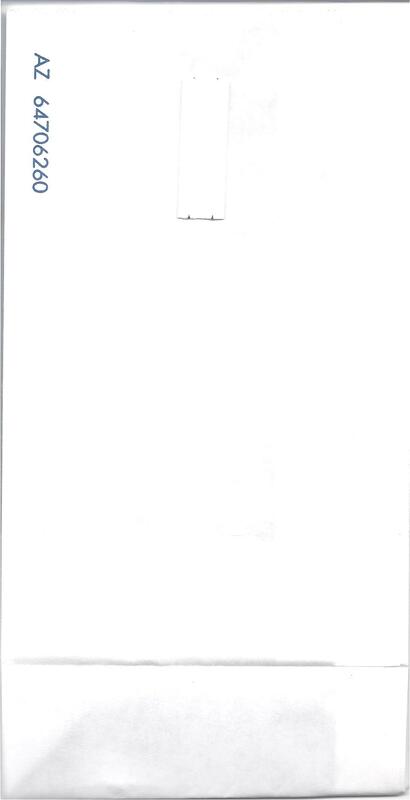 FWIW, the donor sent this from Vatican City. Perhaps I should direct him to Instant Confession? Massimiliano (the donor) replies, "Impossible! I visited Rome but I never went to the Holy Seat ... it could be that the stamp had a Vatican subject". 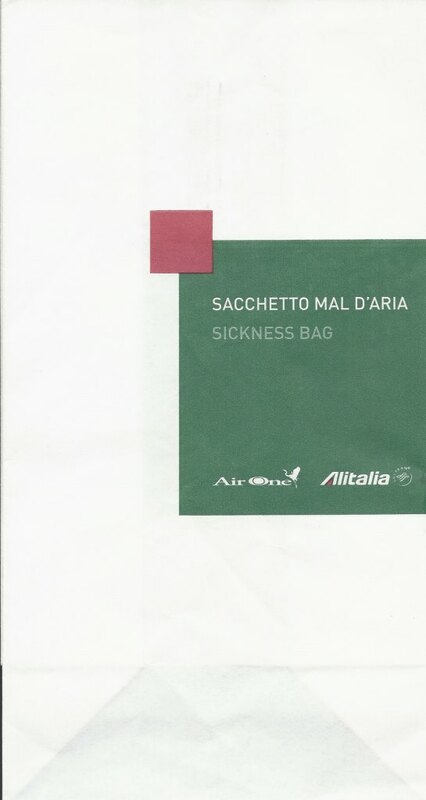 Alitalia is now part of Sky Team, so they had to change up their barf bags as part of the contract in order to reflect that. Alitalia goes a bit Art Deco as they join forces with Air One. 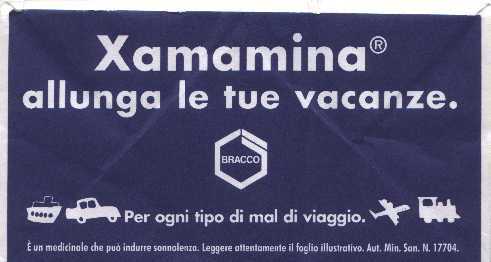 Still hawking Xamamina for motion sickness on the bottom of the bag, the last place a sick person will look for an ad. Alitalia goes a bit Art Deco as they join forces with Air One. 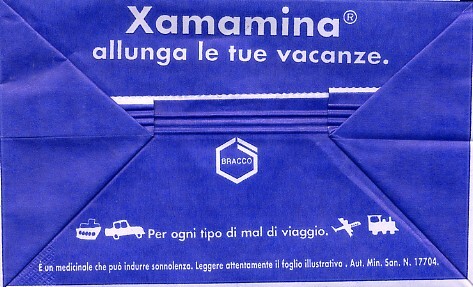 Identical to other 2012 Alitalia bag EXCEPT there is no Xamamina advertisement on the bottom of the bag. 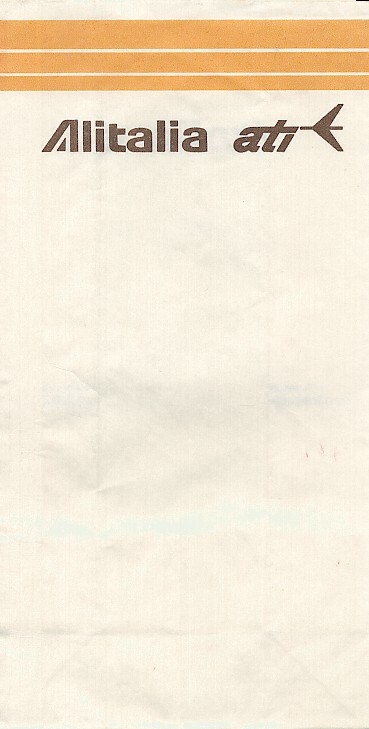 Inspection of the inseam reveals the bag behind the bag. One would notice that the manufacturer is not Burgopack Spa, but b.c.l. Imballaggl Sambuca V.P. Both inseams also say "hermetic bag". 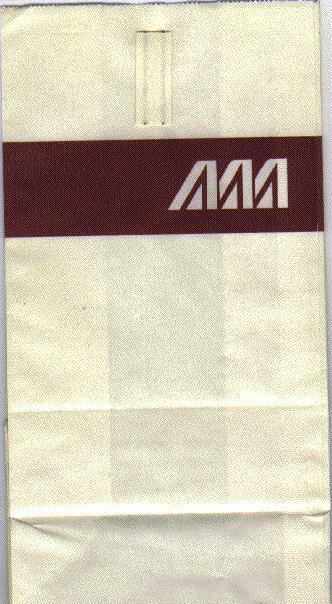 A very colorful offering from Alitalia, probably from the 1970s or 1980s. The coolest thing about this bag is not the design you see on the outside, but the inside of the bag that appears to be lined with teflon or silver foil or something like that. 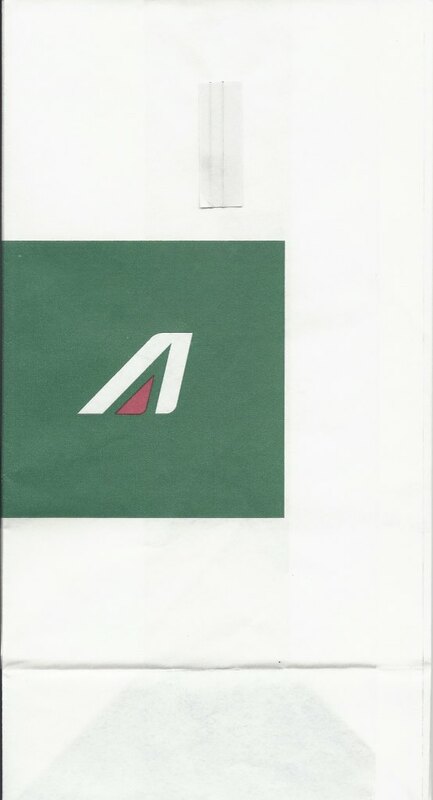 Alitalia goes generic with a cheesy serial number-type marking - AZ 64706260. 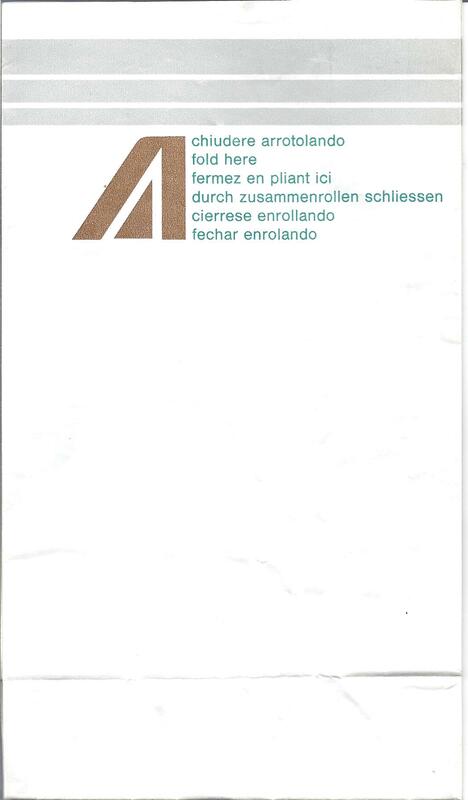 AZ is the IATA code for Alitalia. 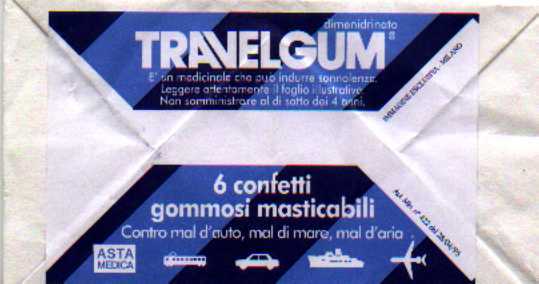 Furthermore, the bottom of the bag now boasts the infamous "Travelgum" sticker which reveals that the bag's origin is 4/28/95. 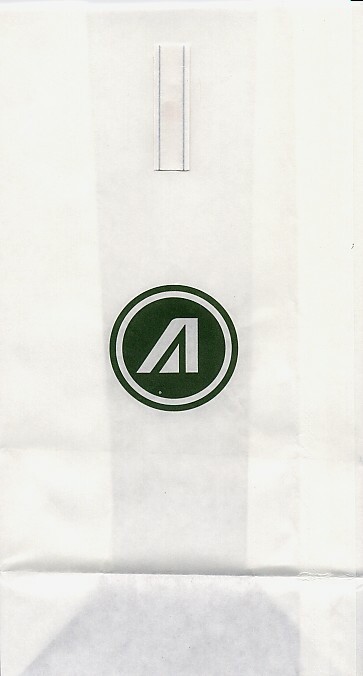 At first glance, this bag looks exactly like the other Alitalia Travelgum bag. 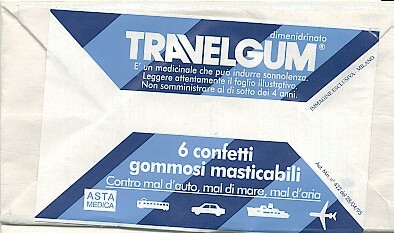 However, careful inspection of the bottom of the bag reveals that this bag underlines the words "Contro mal d'auto, mal di mare, mal d'aria" whereas the other bag doesn't. 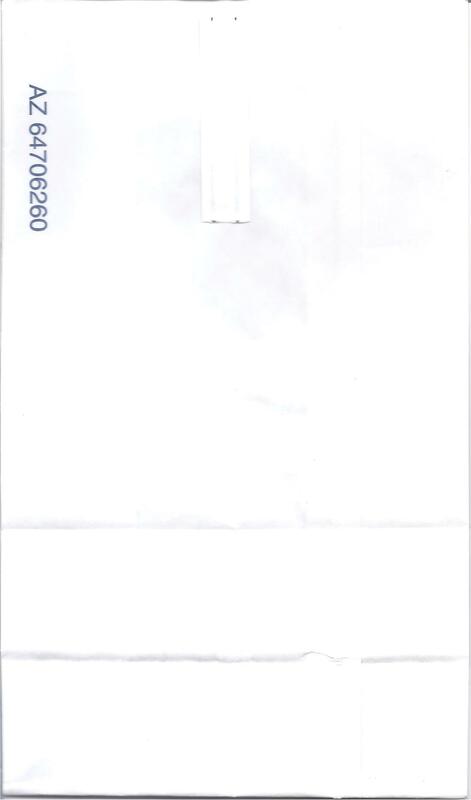 Also please note that the serial number AZ64706260 appears only once on the front of the bag instead of twice. Also note that this bag is serrated.